25. 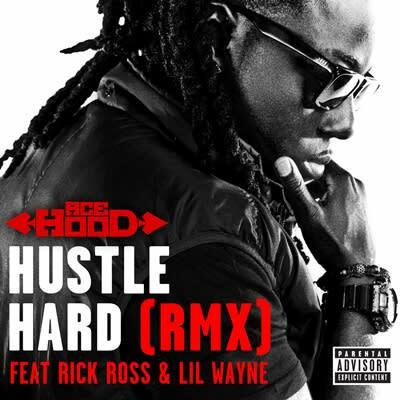 Ace Hood f/ Rick Ross & Lil Wayne 'Hustle Hard (Remix)"
After three albums' worth of hustling, Ace Hood finally got the undeniable smash hit that he's been working towards his whole career. That's the good news. The bad news is that he got murdered on his own remix. Not that Ace didn't go hard, but when you're being upstaged by YMCMB's own Ricky Rozay and Weezy F. Baby, there isn't much for a young rapper to do but say "thank you" and get back to hustlin'. It's true that closed mouths don't get fed, but it's not polite to eat with your mouth open either.